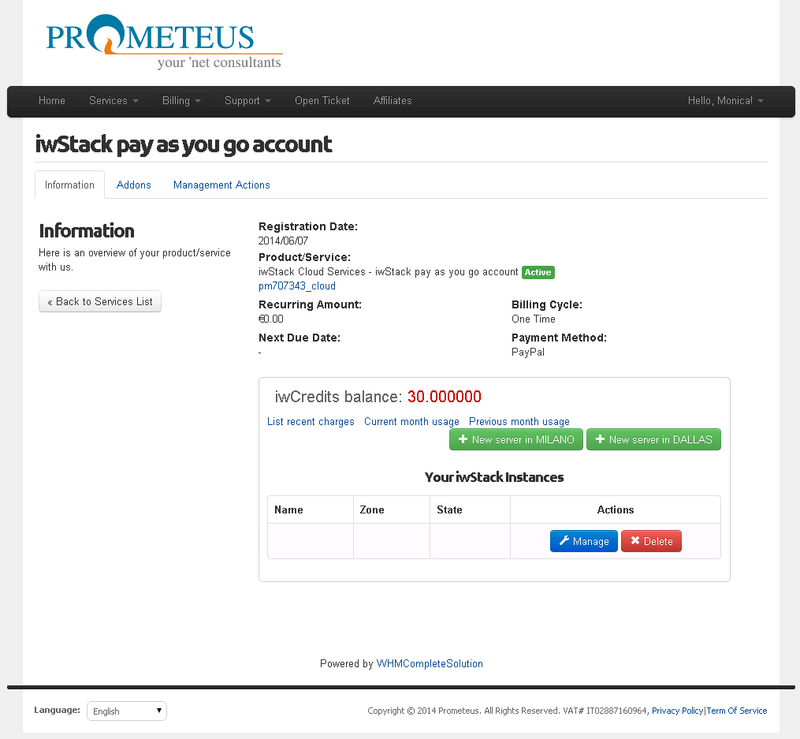 New IWStack interface integrated in WHMCS - Prometeus - Your 'net consultants ! We have received many complaints that Java UI for IWStack is slow and counterintuitive. While we aknowledge this fact, we think our IaaS is designed with the enterprise and professional admin in mind, it was the primary target for our cloud, to give them the full access to the UI because they need all the advanced features in the cloud, otherwise would have gone with just a regular VPS or some of the fake cloud providers, such as Digital Ocean. We have seen a lot of hobbists and people willing to learn which sign up for an account and later cancel it because did not manage to use the interface in spite of our tutorials. For them Salvatore put a lot of effort into developing a simple interface integrated in WHMCS where you can do the basic operations such as create, destroy, start, stop, take snapshot, etc on your instance. 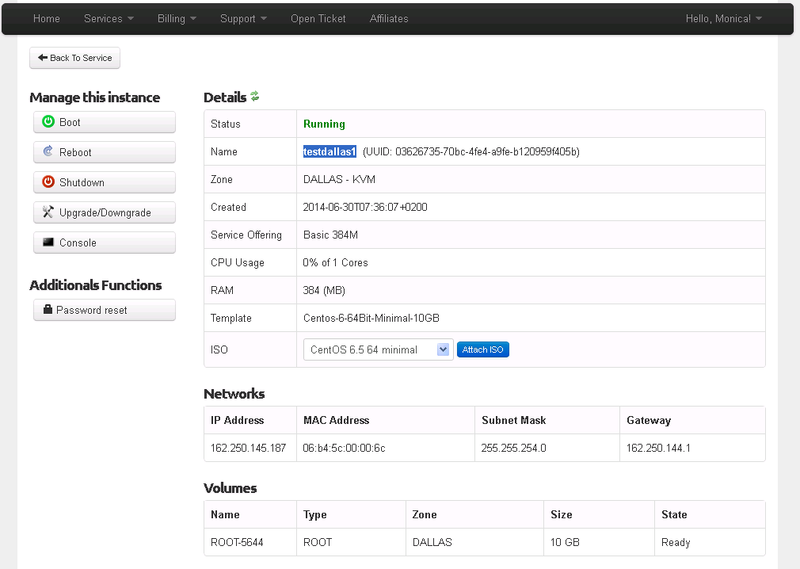 If you simply need a VPS with the cloud redundancy only and you do not need isolated networks, setup VPN, API access, load-balancing, affinity groups, projects and many other advanced features available in the full UI, just login the billing pannel: http://www.prometeus.net/billing, go to Services>My Services and click on View Details near your iwstack account. Notice that if we are using templates, the size of the VM will be the size of the template. You can always add more disks later using the UI. Also, wait on the page until the instance is generated. If you were using templates, this is your chance to get the password, otherwise will have to power down the VM and change root pasword later. All passwords are for the root user including Ubuntu OS! You cannot configure firewall from this interface yet. 5. Anything that can be done with the API and people vote on.